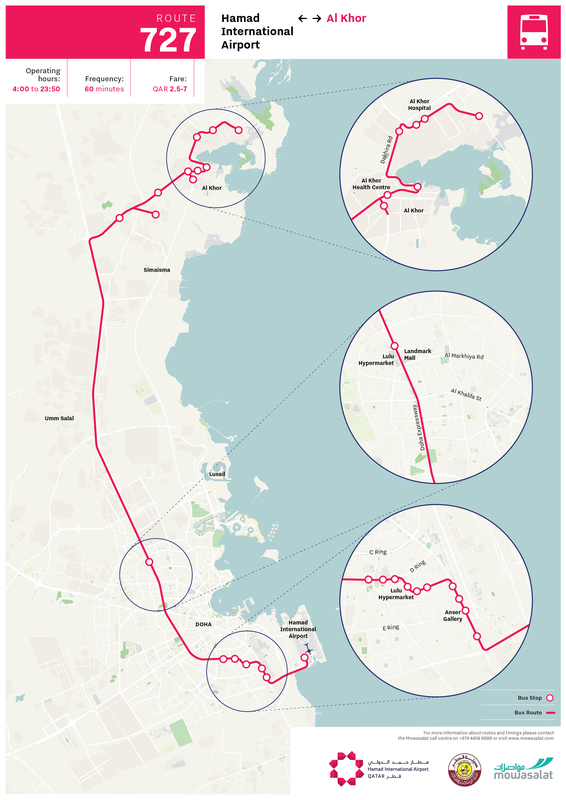 Mowasalat-Karwa provides a frequent, reliable bus service throughout Doha and to all major communities in Qatar. Buses are modern, air conditioned with low floor access and space for wheelchairs on most types of bus. A new fleet of luxury buses with reclining seats are used on longer services to Al Khor, Al Shamal, Dukhan and Messieed as well as Airport Express service. 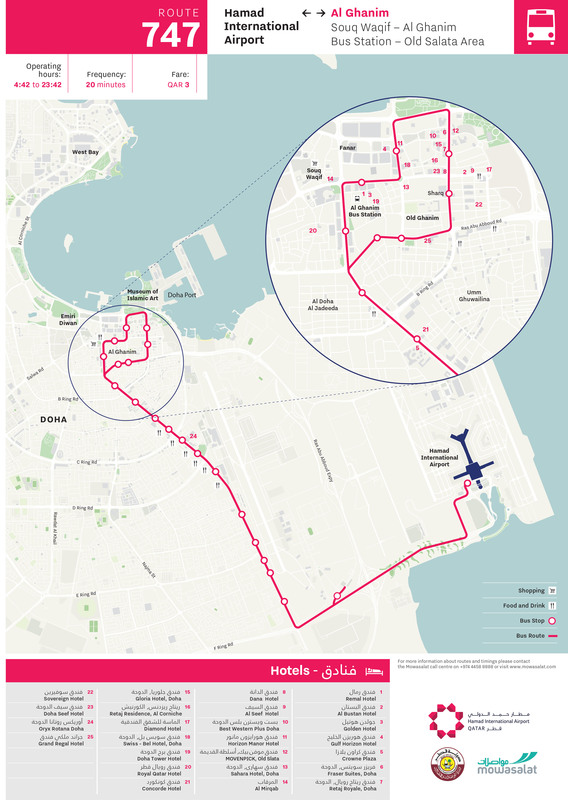 Mowasalat operates a total of 50 routes starting as early as 4am with last buses timed to depart around 11pm. 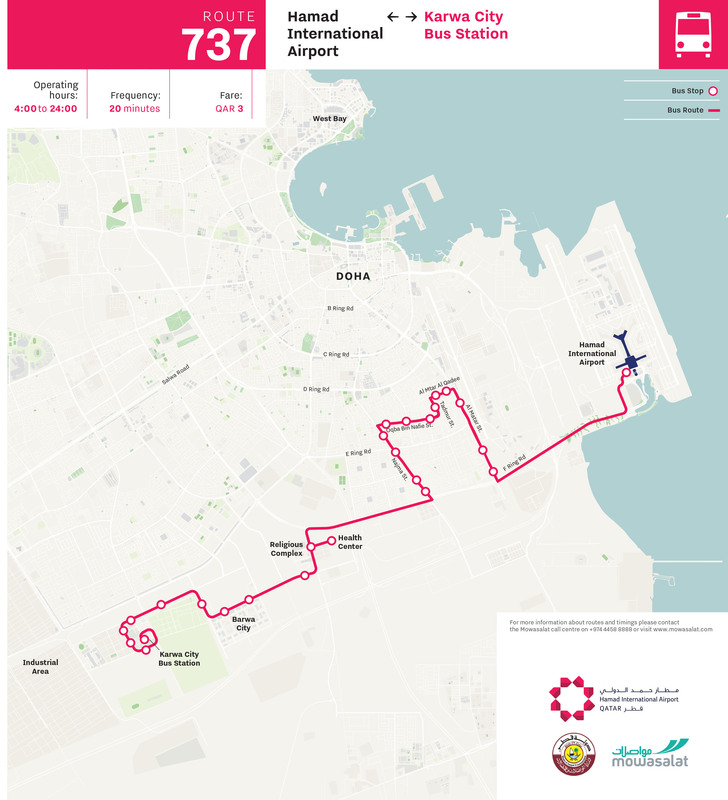 Most routes operate from Doha Bus Station situated near the gold souq. Fares are attractively priced starting from as little as Qr2.50 for short trips with a maximum single fare of Qr9 to Al Shamal and Abu Samra on the Saudi border. Passengers are advised to procure “Karwasmartcard” cashless, ticketless card. 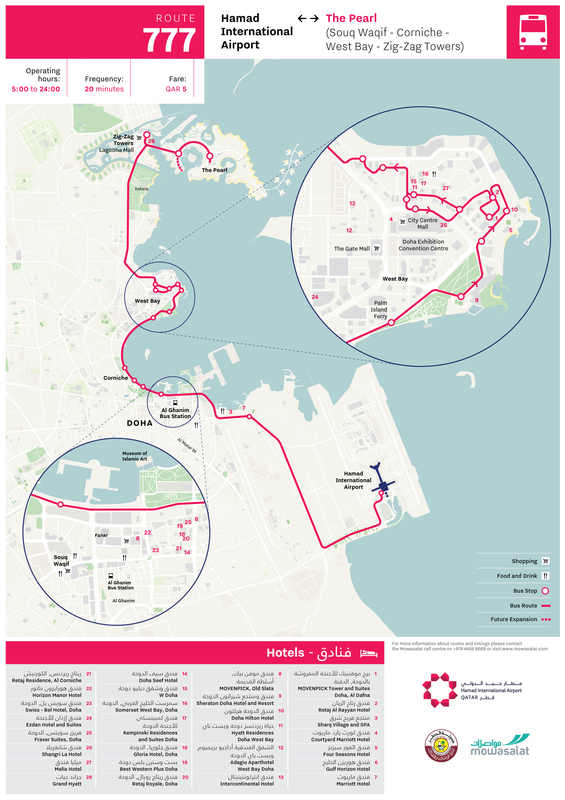 Qatar’s Ministry of Transport have launched this Bus Shuttle Service for the West Bay district. Karwasmartcard holders can access west bay shuttle service using the card. Passengers can also buy ticket from bus driver which will cost them Qr.10/- per two journey.